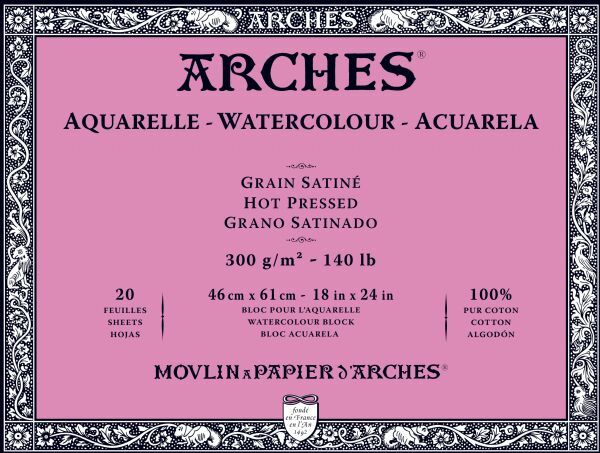 Professional grade 18" x 24" watercolor block of the highest quality. * Contains an anti-microbial agent to help resist mildew. * 140 lb./300g 20 sheets. * Hot press natural white. 24" x 18.25" x 0.5"